The acoustic guitars have been a part of this world since the 15th century. Moreover, they are considered to be a basic instrument for many different genres of music. 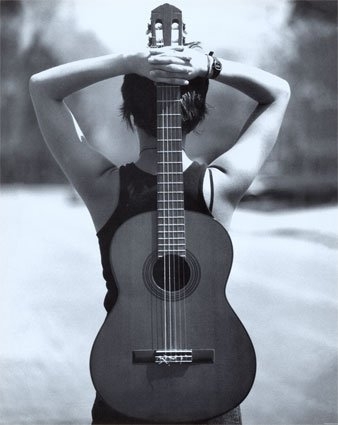 The best feature of an acoustic guitar is the fact that it does not require any external source for producing sound. It is based on simple physics. The sound waves which are created by the strumming of the strings, they reflect from the hollow area inside the wooden body and the echoed voice produces the much-needed sound. These guitars always have a different price, based on how they are manufactured. However, there is a way to work with guitars as well and you can always make them yourself, if you are interested. Start off by choosing your favourite wood. Once you have your choice of wood, you will look into the quality and how much sound it can produce. In order to make an acoustic guitar, you will require wood which does not have a lot of weight. They say that lesser the weight, the richer the sound. People mostly use spruce which they think brings a nice balance to the weight of the guitar, and the sound that it produces. However, maple or even mahogany with a little bit of ebony right at the top will help you make the perfect neck. You will need to start cutting the neck of your guitar first. Leave a little bit of wood (block) so that you can make the headstock later. You can always find the perfect specified guitar pieces from manufacturers who are closer to you. Later, use a wood lathe so that you can carve out the perfect neck for your acoustic guitar. Now once you are done with cutting the neck, cut the shape of your headstock with the same lathe. Now you have to drill six holes on the same block so that you can insert the tuning pegs inside. Now use a bit of routing bit so that you can add a little groove to the peg holes. Now, to match your neck, cut a little piece of ebony. Glue it to the fret-board of your guitar. Let it dry and then add pearl so that your fret-board can look the way you want. Now you need to add frets to the fret-board which you have managed to make and try to do this step by hand. Now once your guitar is fully made, you can either add paint on its body to give it the look you want, or let it remain with the wooden colour which most people like. Your final step would be to mount a bridge and connect all the parts. Now you just need to add strings to the guitar, and tighten them up so that you can tune them.